What are the Hairless Dog Breeds? 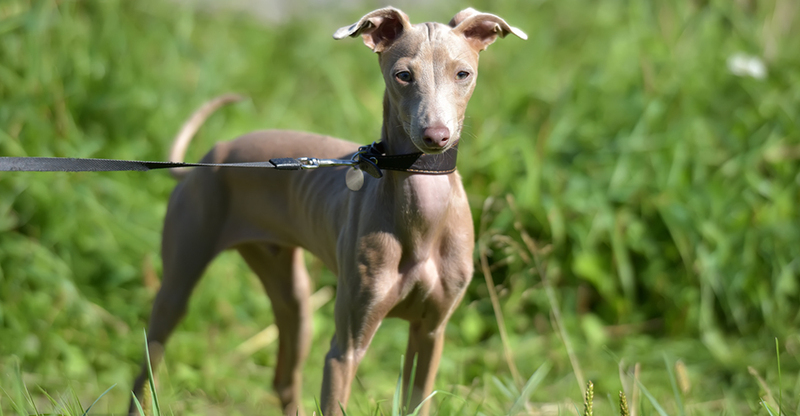 If you love the idea of a hairless dog, which can be a pup with little to no hair or fur on his body, then meet the furless breeds that make bald beautiful. This no-fur breed is easily identified by the substantial crest of long hair on the top of the head, tail, and legs. Favored once for their rat-catching skills on ships in the 13th century, Cresteds today have much less of a working life than before. Adored for their unusual looks and pixie-like playfulness – Chinese Cresteds are also found in a full-fur, coated variety called a Powderpuff. Fun Fact: These African descendants can be traced back to the extinct African Hairless Dog. The Pila is a completely hairless dog but has also been referred to as a bald dog. This rare pup is difficult to find in the US and not readily available if at all. The bare skinned Pila has no hair on the body other than the whiskers. Some Argentine Pila’s may have small, prominent tufts of fur on their head, tail or feet. Fun Fact: Pila’s are aphonic, meaning without sound or barkless. Named by Spanish conquistadors after the dogs were discovered living alongside orchids in affluent buildings, Peruvians were believed to have spiritual powers that could heal and cure diseases like stomach pains and asthma. Peruvians, who came close to extinction, now run freely across the Inca ruins in their homeland and have become a protected canine species. Fun Fact: Peruvian lineage goes back as far as 750 CE, to the pre-Inca period. 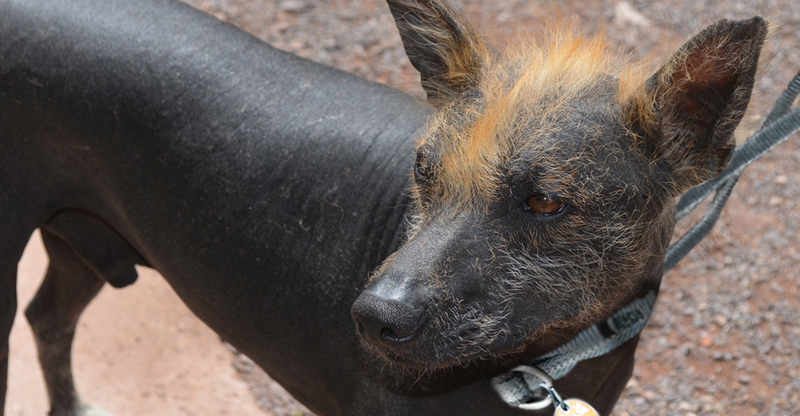 Meet the lesser-known, coated variety of the Rat Terrier – American Hairless Terriers. This no hair dog, often referred to as a bald dog, was discovered after a hairless female named Josephine was born into a coated litter in 1972. American Hairless dogs are known to be playful, active little dogs and won’t need much convincing to join in a game chase or fetch. Fun Fact: These dogs are completely hairless except for their eyebrows and whiskers. Mexico’s national treasure is the Xoloitzcuintli, a hairless pup also known as the Mexican Hairless dog. The breed was considered sacred to the Aztecs who believed that the dogs could guide their souls through the underworld. Rare and ancient, the Xolo (pronounced sho-lo) as he is affectionately called, is Mexico’s national dog and once called Mexican artists Diego Rivera and Frida Kahlo his pet parents. Why choose a hairless dog? At the top of most pet parents’ list of things they love about a dog with no hair, is that they have no hair! Well, almost no hair. Some pups may have patches of fur on the head or tail, even the paws, while others have whiskers and eyelashes. 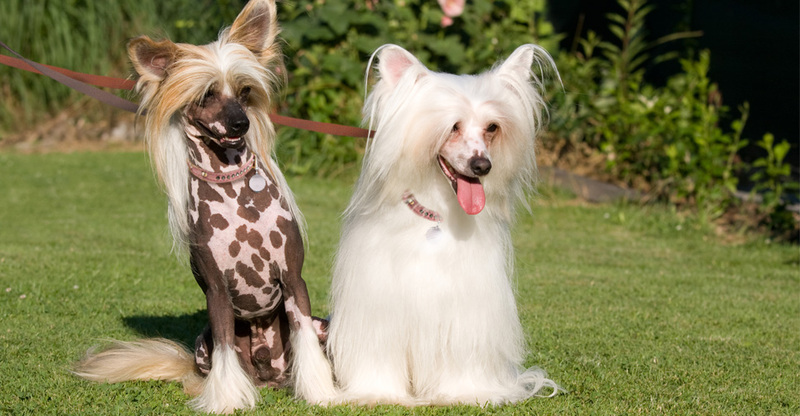 The advantage of hairless dog breeds like the rare Peruvian Inca Orchid, Xoloitzcuintli, Chinese Crested, Argentine Pila or American Hairless is that they also have limited shedding. Some of these hairless breeds may be considered a great choice for pet parents wanting a hypoallergenic dog for people with allergies. The no-coat feature also means they seldom get fleas. How do you care for a hairless dog? With little to no fur to soap-up, blow-dry and brush out – hairless dog grooming needs are less traditional. The focus of these unique dogs is their skin, so quality skincare maintenance is a priority. Taking good care of a naked dog’s skin can keep these breeds happy and healthy while minimizing blackheads or pimples. Take a look at this easy-to-follow grooming and skincare checklist to help keep a dog without hair feeling his best. Use a soft brush over skin. Wipe skin down daily using a soft, damp cloth to remove dirt. Bath bi-monthly with a mild dog shampoo to keep skin healthy. Certain hairless breeds need exfoliating baths to remove dead skin cells. Ensure ears are cleaned weekly and nails trimmed. Brush teeth regularly with a soft toothbrush, as these breeds are almost entirely missing replacement teeth. Do not squeeze pimples or blackheads as this could lead to infections, scarring and skin discoloration. Ask your veterinarian about good quality, dog moisturizers that can be applied to skin every day, or as needed. Many hairless breeds are lanolin-intolerant, so check lotion ingredients before applying. No hair equals no insulation, and therefore a dog without hair needs a sweater to keep warm and protect his skin. dog sunscreen is advised. Ask your veterinarian about good quality, sun protection and apply as directed. Keep bedding and clothing clean to minimize skin issues. 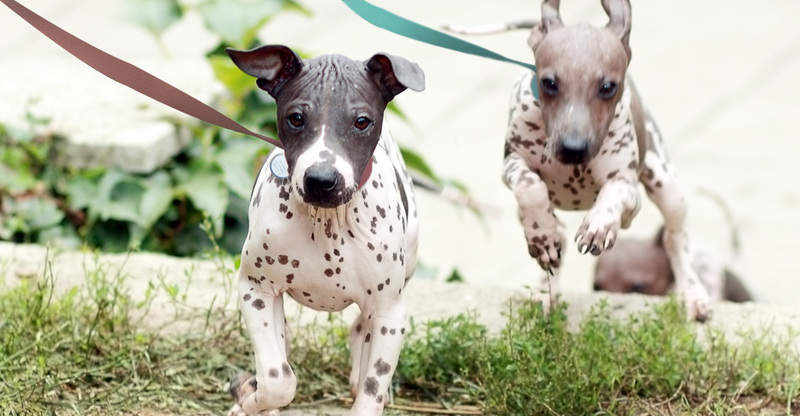 Ready to begin the search for a hairless dog breed of your own? Find adoptable hairless dogs in your area on Petfinder.com. Note: While the breeds in this collection tend to be hairless, individual pets will vary. Please consult the adoption organization for details on a specific pet. This no-fur breed is easily identified by the substantial crest of long hair on the top of the head, tail and legs. 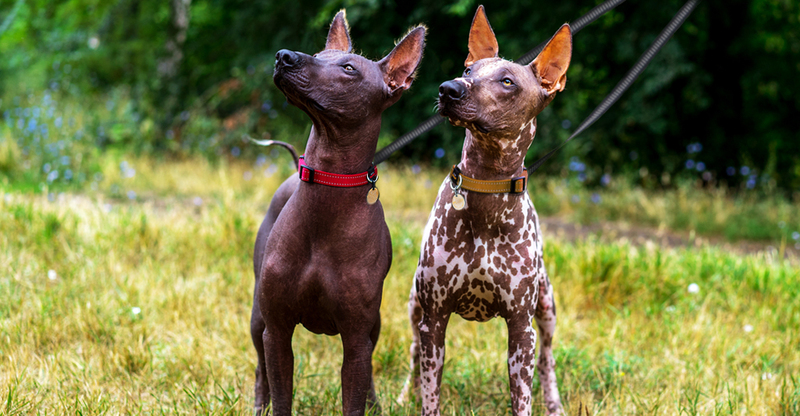 Mexico’s national treasure is the Xoloitzcuintli, a hairless pup also known as the Mexican Hairless dog.